Dr. Rob Sanfilippo » Blog Archive » Is There a Chiropractor in the House? It was the age of the talented dilettante, and the worldâ€™s first chiropractor certainly qualified on that score. 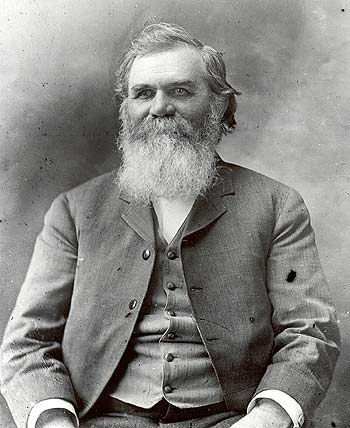 Daniel David Palmer, variously a beekeeper, school teacher and grocery store owner, dabbled in magnetic healing and mysticism on the side, while perusing the medical journals to keep abreast of developments in physiology. He began practicing magnetic healing during the 1880s, while living in Davenport, Iowa, but his big break came in 1895, when a deaf janitor with a back problem happily came his way. Upon examination, Palmer located a lump in Harvey Lillardâ€™s back. Palmer had already advanced the theory that spinal abnormalities caused most, if not all, diseases and conditions by virtue of disrupting normal nerve flow. When he performed an adjustment on Lillard, which involved the manual manipulation of the spine and surrounding joints, the manâ€™s deafness vanished. Palmer knew he was onto something big.